My son cut all 8 of what became trees. They had not been trimmed for 9 years. Now the stumps have all new growth with that disease and I'm not sure what to do with them or how to keep them trimmed. As for disease issues, photinia red tip is very susceptible to the fungus leafspot, called Entomosporium, that can defoliate photinia plants. Plant photinia in full sun and provide good air circulation. Remove and destroy fallen leaves,prune off diseased twigs. Avoid overhead irrigation. 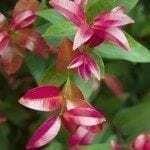 Fungicide sprays (such as copper-based products or neem oil) are also generally necessary for this disease, beginning from bud break and applied every ten to fourteen days until al lfoliage has matured. 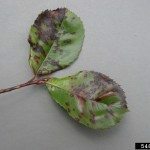 Mature foliage is no longer susceptible to infection.